Snuggle up this winter with your choice of a natural wood burning fireplace with a custom mantle in the spectacular 21x13 living room, or be lazy and flip a switch to turn on the gas fireplace in the cozy family room that leads to a large 23x20 eat in kitchen that featuring high end stainless steel appliances, granite counter tops, plenty of cupboards and a pantry. The doorwall off the kitchen leads to a 24x30 refinished deck in a park like yard with plenty of space for entertaining. The first floor also features a full bath. The second floor master bedroom has 2 closets, one walk in and a full bath, 2 additional bedrooms share a second bath. 2 1/2 car attached garage featuring above head storage and a workstation. Additional features include hardwood flooring throughout (under carpet in some rooms), Anderson Windows, a whole house generator, and a clean dry basement. 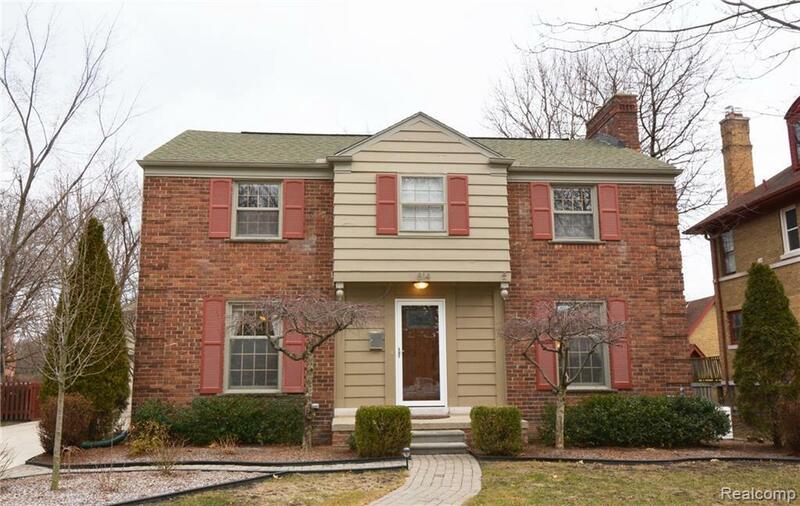 All this with great Grosse Pointe location and a home warranty. Please exclude dining room chandelier.